Pandion Partnership introduces experienced Executives who aspire to become non-executive directors to organisations seeking a fresh but pragmatic view. We challenge the usual closed book NED recruitment process and are developing a new genre of Independent Director. In bringing together first time NEDs and Boards who want a different perspective, we are breaking down barriers and opening new possibilities. We are going beyond protocol and convention to bring in the 'un-usual' suspects who can move business forward effectively. Pandion Partnership is owned and operated by David Goldstone and Michael Herst who have over 50 years of combined search experience. They are also joint Managing Directors of Osprey Clarke Executive Search, where they recruit senior executives across sector, function and geography for a broad range of organisations, from PE backed ventures to global corporations. Whilst undertaking a NED search for a FTSE listed business where (unusually) no previous NED experience was required. They were overwhelmed with the level of interest from CEO's of large organisations many of whom were yet to secure their first Independent Directorship. This pool of deployable talent was so impressive, that they created their community of senior executives and formed Pandion Partnership as a vehicle to introduce potential NEDs and Advisory Board Members to ambitious organisations. Open up access to a new genre of Independent Director. Pandion Partnership has carefully selected and represent current senior executives who are looking for their first or second Non-Executive Directorship. Bring your talents and experience to a new place and employ them in a different way. Having held MD / CEO roles for nearly 15 years I was minded to consider taking on a NED position for my own personal development as well to feed a desire to use my experience to help another business in a non-operational capacity. It is neither obvious nor easy to access this type of opportunity for the first time, particularly those under public ownership and putting in place a structured approach was proving challenging whilst also managing my day to day responsibilities David Goldstone introduced me to Hollywood Bowl Group who saw me as someone who could take on a mandate as a NED to address certain strategic needs of the business as they grow post IPO. David was incredibly helpful in working with both myself and the board of Hollywood Bowl Group in order to secure my appointment." 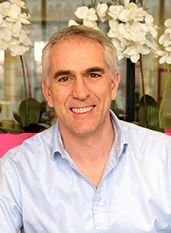 Ivan has extensive experience in the leisure sector in the UK and across Continental Europe, having held a number of senior roles for Yum Brands Inc. over 15 years notably as MD KFC France and Western Europe and, more recently, as CEO of itsu. Earlier in his career, Ivan had significant experience with Unilever and LEK consulting. Ivan holds a Bsc in Economics with Econometrics from the University of Bath, an MBA from INSEAD and is also an accredited Executive Coach.